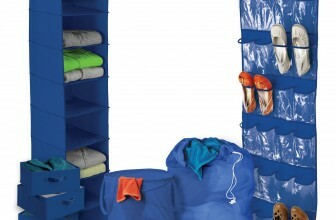 Dorm 8 piece storage kit is a great option for your dorm storage needs. It comes with 4 drawers, shelves, hamper, laundry bag and shoe rack. Available in white and blue color. Only $35. Space is limited in your dorm room closet. 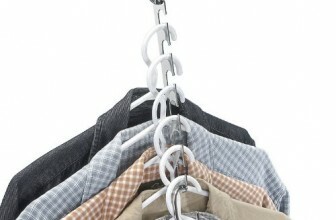 Save space with these heavy duty cascading hangers. Each purchase comes with 2 sets.